Miriam Cunningham is owner of Roof Menders, Inc. She visits sites in six states to present alternatives to saving the old tin shingle roofs. 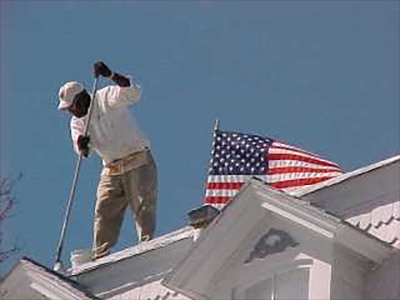 That’s all of us–a small company specializing in tin roof restoration work. Beyond information about our contracting services, this site is designed for individuals interested in tin roofs–photos, technical tidbits and history. These web pages are prepared by the same contractor that specializes in the restoration of these tin roofs. For more information about our background, please visit our Roof Menders webpage for more information.